You need professional advices or suggestions to be well prepared for a special occasion? 1. Test your make-up a few weeks before the big day to find what you really want and to make sure what the final results will look like when the day comes. 2. 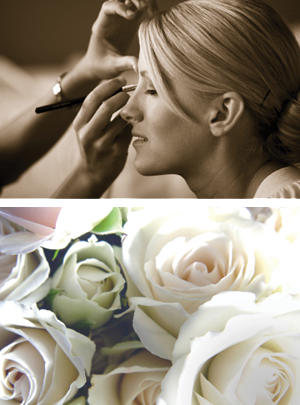 Get a skin treatment one week before your wedding to remove dead cells, moisturize your skin, and get a radiant look. Your make-up will look and hold better. If your skin presents problem with its texture or if you have black heads to remove, you should consider getting 2 to 3 treatments during the month before, or according to your specific needs. The best thing to do is to book a consultation with one of our professional and we will find a treatment that is just right for you. 4. Treat yourself with a relaxation moment. To recharge your energy, get a Spa Oceana session, a 60 or 90 minutes massage or, if you prefer, get a sugar and kiwi exfoliation and get a smooth and moisturized skin! Then you could complete your treat with an excellent meal shared with the ones you love, at the Bistro 4 Saisons, located right in the Auberge, next to the SPA. Many possibilities are available to you to fulfill your desires.